This CD is taken from some jam sessions that members of SubArachnoid Space had back a few years ago (1998). The people playing on the CD are: Mason Jones (guitar), Melynda Jackson (guitar), and Chris Van Huffle (drums), Jason Stein (bass) and Gravitar noise-maker Geoff Walker (guitar, brass, vocalizations).It is pretty free form spaced out material with some added space your head sound effects. The CD is simply broken up into 7 pieces of music each entitled Phase One, Two… Phase Seven. The CD begins quite spaced out but eventually builds up into a psychedelic jam when the drums really kick in. Phase 2 is a mellow spacey piece. Phase 3 starts spaced out and then at around 4 minutes really takes off and can get quite noisy and far out.. Phase 4 has a load of harsh sounds and spaced guitars. Phase 5 is full on space rock jamming! Phase 6 is arranged around the bass playing. 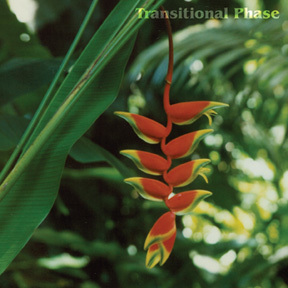 Phase Seven, is quite experimental, perhaps like Bardo Pond, with the layers of feedback and guitar noises. Experimental and quite far out….